Mumbai, 29 Sept. Mr. Motilal Oswal, Chairman, Motilal Oswal Securities Ltd, India’s largest Financial management company, was awarded the Darshan Sagar Award 2016 in the field of Social, Educational and cultural development of Society at the 11th Darshan Sagar Award Programme at Sarvoday Nagar, Mulund, Mumbai. Darshan Sagar award is a prestigious national level award given for special work done in fields of ‘Education’, Research’, and ’Social service’. 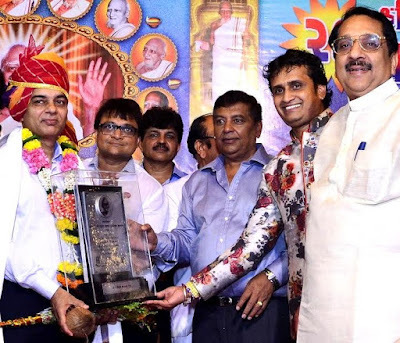 According to Pravin Shah and Niranjan Parihar of award committee, this award was presented in the presence of representatives of more than 1200 socio-educational institutions from all over the country and it included renowned personalities from industry, trade and corporate world.